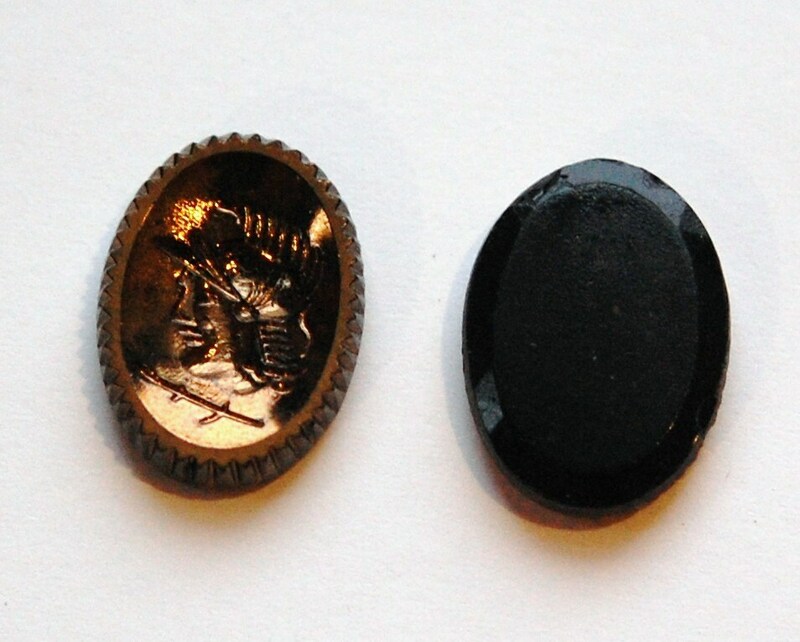 These are vintage black glass warrior cabochons. 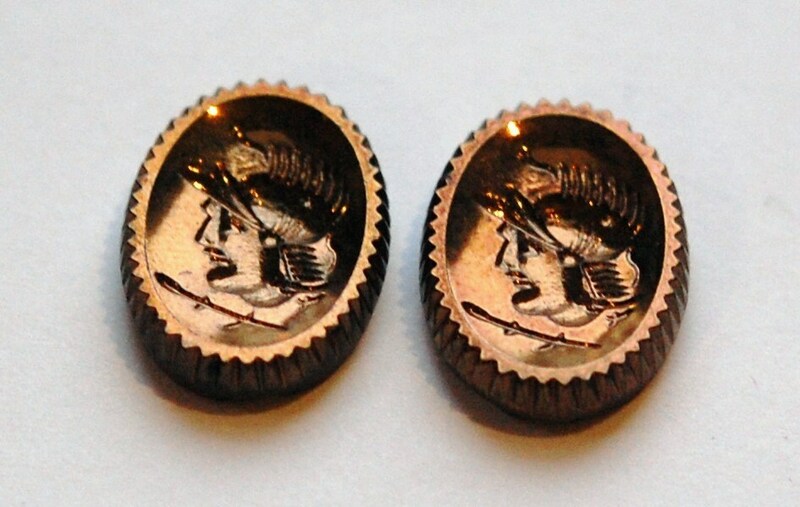 They have a copper finish on the front. 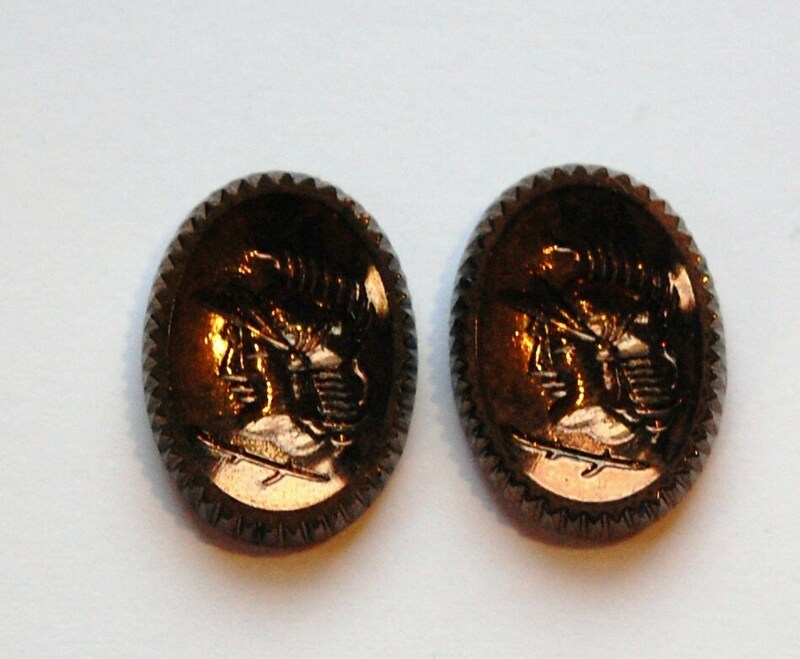 These measure 18mm x 13mm. you will receive 2 pieces.